For a few reasons, that headline is a really big deal. 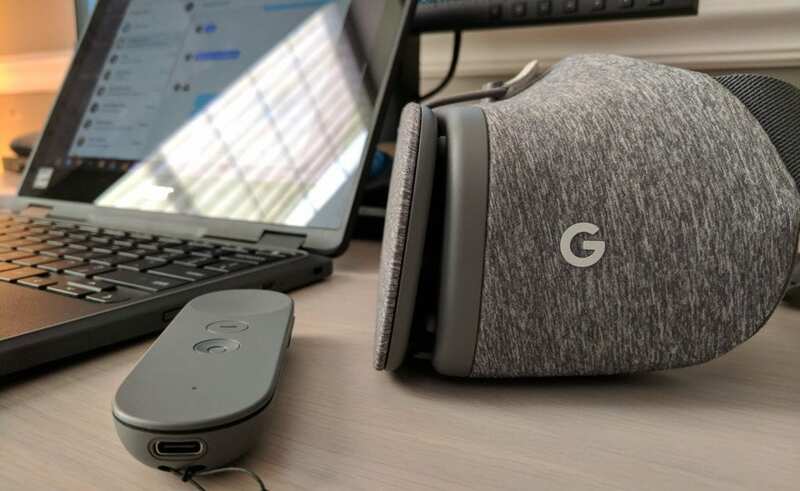 We’ll unpack this quickly because I know those of you with a Daydream headset and Daydream-ready phone will be quitting this article very quickly to give it a try. Fun fact: if you’d like to finish reading this in VR, all you need to do is drop your phone in your Daydream View right now. Seriously, go for it! If you don’t yet have a Daydream setup or you haven’t previously set up your remote and such, you’ll have to get through that stuff first. Ultimately, though, this experience is that simple. Go to the site you’d like to navigate, drop the phone in the Daydream View, and use the remote and its handy trackpad to navigate around. We of course need to keep things in persepective for right now. First, this is available on the latest version of Chrome on Android (version 61), so you might need to check for an update first. Second, as François Beaufort pointed out in his post about this earlier today, this is simply the first steps of Chrome in VR. One of the most important things you cannot do at this point is type. I tried opening up google.com and pairing up a bluetooth keyboard. For now, the experience is more meant for the user to get somewhere on their phone and then drop the phone into the viewer. Getting other places in VR will require a hyperlink to get there. For the time being, VR is still a bit of a niche and learning how to walk. I hold that the upcoming, standalone Daydream VR headsets could be a real catalyst in the space, but I think proper web browsing is just as important. The standalone headsets will allow a much more natural use without cables, phone placements, remote pairing, etc. 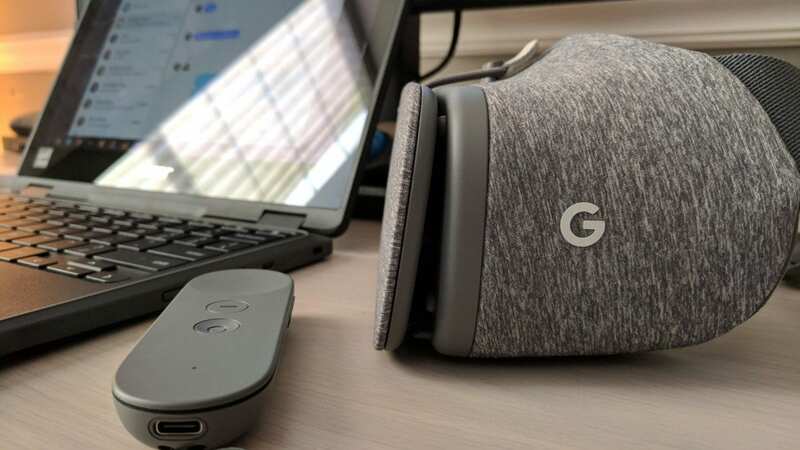 It will make a great VR experience only seconds away instead of minutes (when the remote won’t pair, the phone behaves funny and won’t launch the Daydream app, and so on) and remove the clunky, wired setups that dedicated VR setups utilize right now. But that’s a whole different discussion for another time. Browsing in VR is a big deal for two big reasons: experience and content delivery. There’s a lot of content on the internet. Obvious statement, sure, but if we’re talking about VR being about consuming different kinds of content, having a way to access the storehouses of content on the internet becomes infinitely important. Beyond that mass content consumption, though, lies the simple experience of having quick access to needed content from dedicated apps. Imagine you are in a game or other VR experience and you simply need to register for a service or account. Right now, you have to exit your VR experience to you can navigate to the needed page in Chrome or another web browser. Once finished, you can then re-dock your phone and get going again. Imagine Chrome just opening in your VR experience and allowing you to do all your web-based stuff and then returning you to your app? Doesn’t that sound better? Don’t forget content delivery. WebVR as a platform is moving right along, giving developers more and more ability to deliver unique and mesmerizing VR experiences right in the Chrome Browser. The browser as a content delivery mechanism is a powerful paradigm that many don’t consider. But if I can simply browse around in VR and jump between multiple VR experiences (games, video, etc.) without downloading apps or moving between applications, doesn’t that sound like a great experience? It does to me, and what we’re witnessing right now is just the beginning of that. The possibilities that become acheivable by unlocking the world’s most powerful and capable web browser are simply endless. Chrome in VR will be a game-changer, and I’m excited to be around for the first real steps of it becoming a reality.